OVA0 C_RV_Tab. VVVS "Status group" C_RV_Tab. VVVS "状态组"
OVF3 C_RV_Tab. VAUK "Cost Centers" C_RV_Tab. VAUK "成本中心"
OVK0 C SD Table STE "Tax Categories" C SD 表 STE "税种类"
OVL6 C_RV_Tab. VUVS "Status Group Dely" C_RV_Tab. 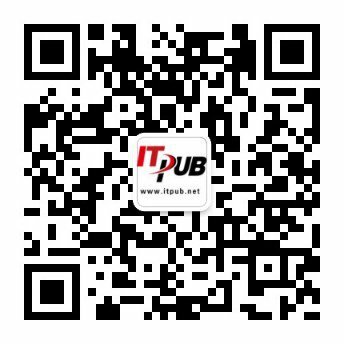 VUVS "状态组延迟"
OVLM C RV Tab. TROLZ "Route determ." C RV 表 TROLZ "路径确定"
OVLU c_rv_tab. vro "Transit time" c_rv_tab. vro "转运时间"
OVR2 c_rv_Tab. T016 "Sectors" c_rv_Tab. T016 "段"
V633 "Customer Conversion Dec.Shipping" "客户转换分散装运"
VGK1 Create Group for Delivery "创建交货组"
VGK2 Change Group for Delivery "更改交货组"
VGL1 Create Group for Delivery "创建交货组"
VGL2 Change Group for Delivery "更改交货组"
VGL3 "Display Group for Delivery" "显示交货组"
VGM1 "Create Group for Freight List" "创建运费清单组"
VGM2 "Change Group for Freight List" "更改运费清单组"
VGM3 "Display Group for Freight List" "显示运费清单组"
VL11 "Create Decentralized Delivery" "创建分散交货"
VL13 "Create Deliveries in Dec.Shipping" "创建分散装运交货"
VL16 "Deliveries to be Picked" "待拣配的交货"
VL18 "Dlvs.to be Scheduled for Transport" "待安排运输的交货"
VL19 "Dlvs.Due for Goods Issue Posting" "发货过帐的交货到期"
VL20 "Display Communication Document" "显示通讯文档"
VL73 "Confirmation of Decentr.Deliveries" "分散交货确认"
BO can't sustain bw query : create new calculate Key Figure ?